This article is a list of why's grabbing your attention towards what it makes Chattanooga a place to visit at first leaving everything aside. Ready to take a deep dive into the extraordinaire of the city? The article shared below will let you know why we have been boasting of this fabulous city since the beginning. Life is quite short, and you will realize it after being to this resplendent city as there is so much to explore and experience that you will regret your limited time here. But if the life is short that doesn't mean it can't be made beautiful. With the below-shared 24-hour itinerary, we will let you know how you can make your one day in the city an unforgettable one. 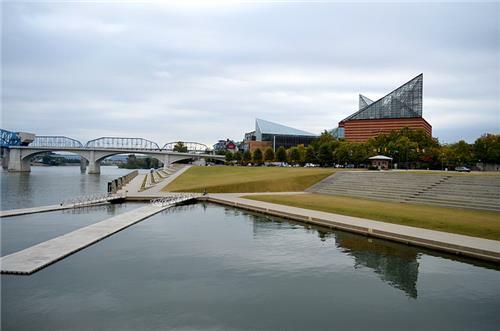 Plenitude of interesting and exciting things & places are awaiting you in Chattanooga. Take out your camera as the city won't let you stop clicking. You can't help it as beauty flows through each and every corner. Some start off their day with newspaper, some by catching news about the burning topics on news channels, some by putting on the music, and some by sipping rejuvenating coffee. If you also prefer a cup of coffee to fight with your morning blues, then we have a place to suggest you and believe us you will say thanks to us after your visit there. But, we won't mind even if you forget to say it, because our prime concern is your satisfaction. Well, we won't maintain anymore the secrecy over the name of the cafe. Stone Cup Cafe is a place which is believed to be thronged by a majority of early birds. If you rise early in the morning, then this is the perfect place to gear yourself up and keep going. This is what we have got the feedback from the city's denizens. For you, it could be just a cup of coffee, but the people at Stone Cup Cafe see it as a drink of belief, satisfaction and ever-lasting goodwill. Enjoy your first cup of the day, and we bet it won't be the last one as you are sure to come back time and again. Its time to pop in Chattanooga Zoo. It is engaged into preserving wildlife and roping in and inspiring people to understand the relevance of the preservation of wildlife and the nexus between people and those beautiful species. With its effective extensive practices and measures, Chattanooga Zoo takes into account myriads of aspects giving them paramount importance, like, animal collection, physical facilities, security, veterinary care, governing authority, finance, safety, conservation, staff, support organization, education, research, and adherence to AZA policies. The Zoo holds the accreditation with the Association of Zoos and Aquariums. African Crowned Crane, Black-Crested Mangabey, Chimpanzees, King Baboon Spider, Madagascar Hissing Cockroach, Radiated Tortoise, Sand Boa, Serval, and Spur-thighed Tortoise are amongst its most adorable and beautiful wildlife species. Let's head towards Creative Discovery Museum. This museum commendably flourishes children's passion and interests through a play-way environment where they can have a better understanding of the world around through self-exploration method. The museum hosts myriads of educational programs for its visitors. You can get immersed into various chemical and physical phenomena at the Science Center located here. Children are taught here by giving them demonstration on various scientific phenomena. The cognitive, social and motor skills of children of the age group of 4 months to 3 years are stimulated well through the caregiver & baby program held at its PlayGym. The museum also conducts homeschool workshops based on science and art. It is also engaged into organizing spring & summer camp, MAP teen volunteer program, preschool adventure days, school tours, teacher workshops, and many other educational programs. If you are seeking a great dose of entertainment, then Tennessee Valley Railroad Museum could be you place to swing by. A ride in its full-sized vintage trains transport you to the golden old days and let you banish your daily-life monotony and boredom. The Tennessee Valley Railroad Museum is engaged into collecting, preserving, operating, interpreting, and displaying railroad artifacts in an extraordinary way and educates its visitors on the vital role of railroads during the yesteryear and development of their community. The passenger trains of Tennessee Valley Railroad Museum follow a historic route including Missionary Ridge Tunnel. The significance of mentioning the name of Missionary Ridge Tunnel was that this tunnel has successfully made it to the list of National Register of Historic Places. Don't fight with your hunger pangs. We have some delectable places to suggest you and one of them is Bluewater Grille. If after your sweetheart, seafood is the second love of your life, then you must visit a place in the town, i.e., Bluewater Grille. People swear by its name when it comes to taste freshest of the fish species. From selection to delivery, Bluewater Grille pleases its guest only with the best of its fish picked. An inviting ambiance is just the right fit for a sophisticated meeting, private dinners, and social gatherings. The foundation of this fabulous place was laid in 2006 and by the course of time became a benchmark whenever the discussions revolve around seafood. Its menu is flecked with myriads of species of fish especially chosen by a skillful team of chefs. Besides finest selection of fish, the restaurant also pleases its diners with its lip-smacking steaks, sandwiches, chicken, and pastas. 3:30 pm: Are you fond of caves? A great lunch we had, indeed. Now, let's make a move to Raccoon Mountain Caverns. In 1929, a local caver, Leo Lambert discovered a pristine cave and though of making it a tourist attraction. he named this unprecedented creation "Tennessee Caverns". This cavern opened its way to the visitors on June 28 1931. By the course of time, the name of the cave changed several times; first from Tennessee caverns to Crystal City Caves, and then from Crystal City Caves to Raccoon Mountain Caverns. Raccoon Mountain Caverns boasts of more than 5.5 miles of underground passageways. This cave is famed as South's most geologically active cave. People at Raccoon Mountain Caverns organizes two different types of tours: Crystal Palace Tour and Wild Cave Expeditions. These guided tours educate you on the history and formation of the cave. Its time to get acquainted with the Southeast biodiversity through the exhibits at Tennessee Aquarium. Tennessee Aquarium is sincerely indulged into preserving and restoring the Southeast biodiversity to educate its community and the visitors about the environment and the ways to protect and conserve it. The research arm of Tennessee Aquarium, i.e., Tennessee Aquarium Conservation Institute is engaged into the restoration of freshwater ecosystems so as to rope in people to make them understand and propagate the need of environmental health. The aquarium has been acknowledged nationally for its involvement into promoting economic development. It opened its doors for visitors in 1992 and since then, it has been practicing to shape a future that is environmentally, educationally and economically compatible. Get a chance to mingle with its myriads of aquatic and terrestrial wildlife. Let's take you to the Hunter Museum of American Art which is engaged into roping in as many people as possible and propagate the relevance, significance, and meaning of American Art through them. This mission is realized and given a final shape through the preservation and interpretation of its impeccable collection, interactive exhibitions, and educational programs. The Hunter Museum of American Art is said to display one of the finest American art. It's so inspirational inside. You get to know the important facts about American history and evolution. The main attraction of the museum is American art belonging to Colonial period as well as today's America. Its splendid collection boasts of paintings, photography, sculpture, mixed media, works on paper, furniture, works of famous artists, namely, Thomas Cole, Childe Hassam, Winslow Homer, Jack Beal, Fitz Henry Lane, Mary Cassatt, Louise Nevelson, Robert S. Duncanson, John Marin, and many more. Whoa! its dinner time. Your favorite food must be intruding through your mind. Well, let's swing by Provino's Italian Restaurant which has been catering to people's love for Italian cuisines. After visiting Provino's Italian Restaurant, you would start loving Italian delicacies even if you have never liked them much before. This restaurant knows it very well how to play with the taste buds. People at Provino's Italian Restaurant know very well how to strike the right spot. This is the reason behind why a wide array of foodies has inclined towards Italian taste and flavors after gorging on its food. Every dish on its menu is a specialty in itself due to immense amount of taste, flavor, aroma, quality, and creativity. You can order anything blindly, we are sure that it will only please you surpassing your expectation from the food you ordered. At Provino's Italian Restaurant, always be ready to get surprised. To catch the best glimpse of Chattanooga nights, you ought to step on Market Street Bridge. During nights, it sparkles like a box of treasure. Believe us, you are going to experience something out-of-the-world. Market Street Bridge is officially known as "John Ross Bridge" as it was built to commemorate Cherokee Chief John Ross. It overlooks Tennessee River connecting Chattanooga and the Northshore District. It opened its door for the visitors in 1917. The most eye-rolling features of the bridge are concrete arch and Scherzer rolling lift based on double-leaf bascule mechanism. It got its name after the Chief John Ross in 1950. The total length of the bridge is 577 m and it is 11 m wide spanning across 19 m of distance. In December 20, 2010, the bridge was honored by placing it on the list of National Register of Historic Places. Let's end our day here with some bopping music and a glass of wine at Raw Dance Club and Live Music retrospecting our entire day in the city and living every moment again with a smile of pleasure on face. Lose yourself to some soulful music played by some renowned local as well regional artists. You can also request them to play your favorites and you should ask for it after all its your first time in the city and you deserve all the happiness and entertainment. Soak up the dazzling ambiance boasting of the state-of-art Lighting, three-dimensional video mapped walls and high-tech sound system. The second floor of Raw Dance Club and Live Music is dominated by its glitzy dance floor where you can take a plunge into the pool of music mixed and played by two dexterous DJ's. Bid a bye to the city with this musical night.